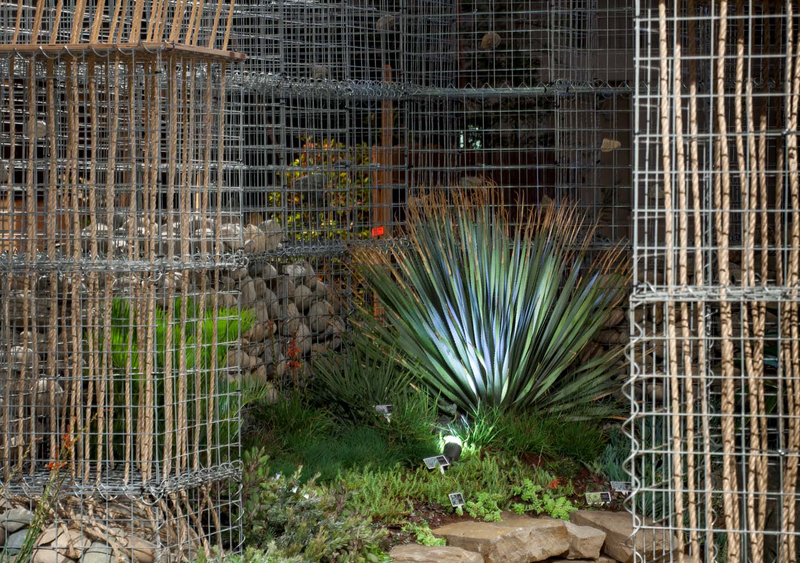 The contrast of heavy and light brings “Sublimation” to life. 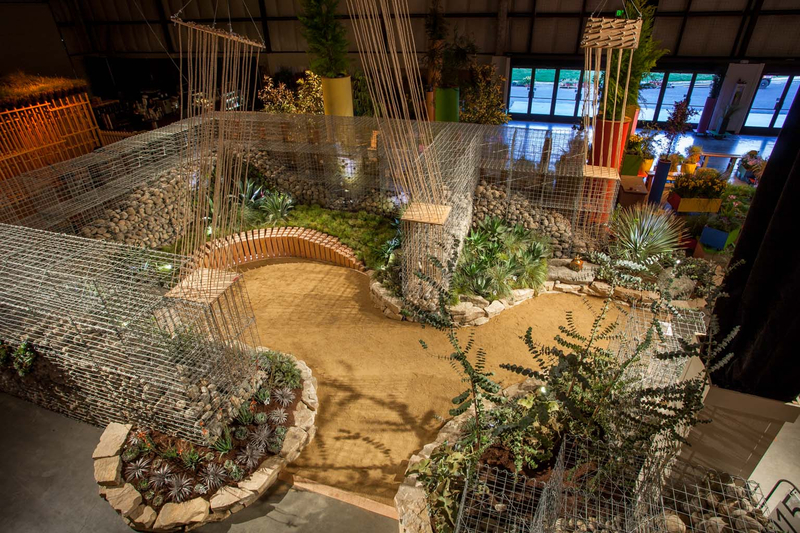 Most commonly associated with dry ice and the transition of a substance directly from solid to gas, “Sublimation” is redefined in the gardenscape by emphasizing the transition from solid to void and from hard to soft. 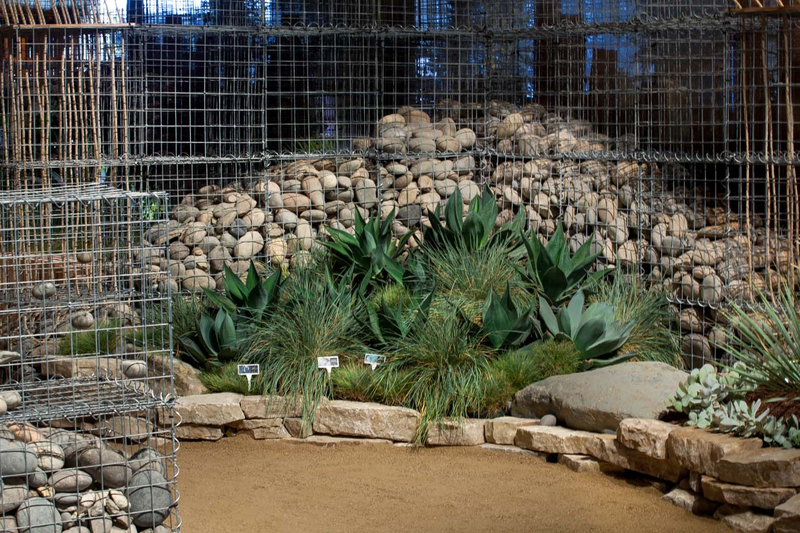 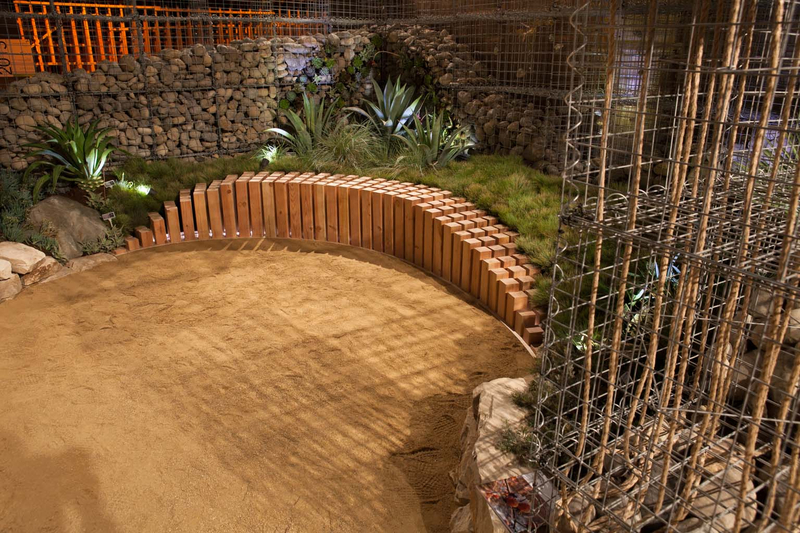 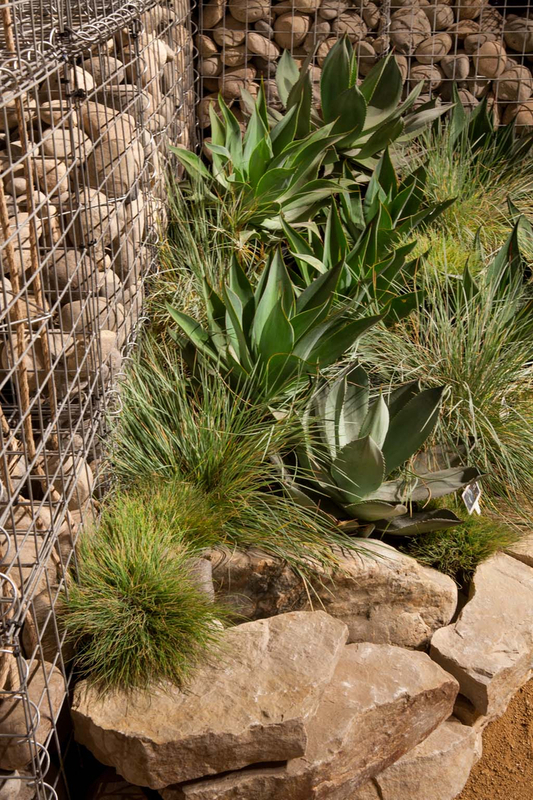 Stones, gabions, and bold specimen plants are juxtaposed by an ethereal wire sculpture, epiphytic green walls, flowing grasses, and other vegetation that thrive in the California coastal climate. 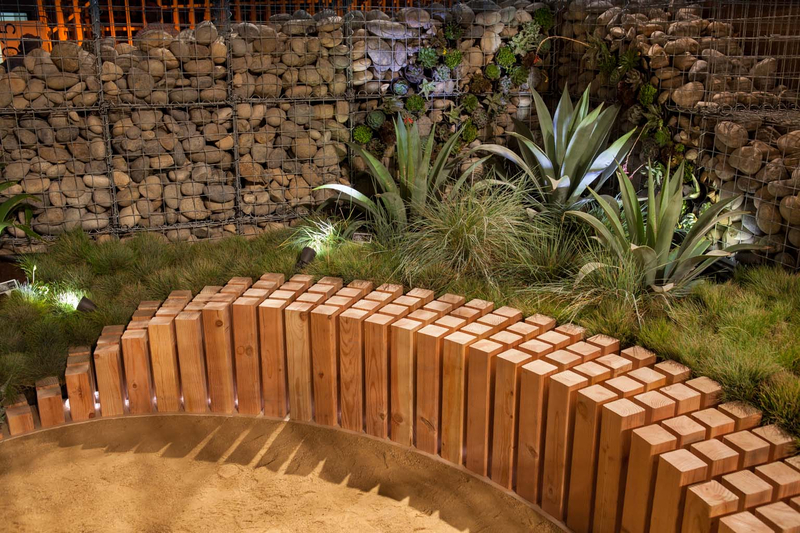 Circulation throughout the garden is a sublime experience of contrasting elements resulting in artistic harmony. 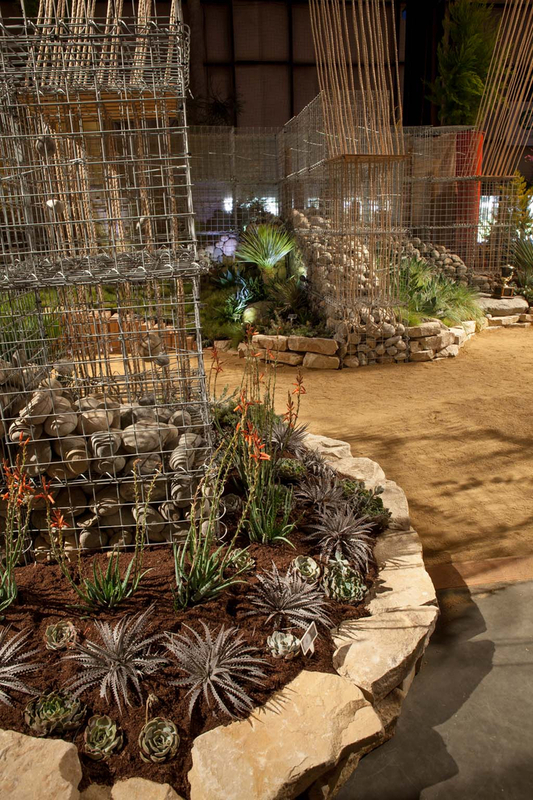 Association of Professional Landscape Designers Award– Garden that best demonstrates plant knowledge, design skill, creativity, and suitability to the hypothetical client. 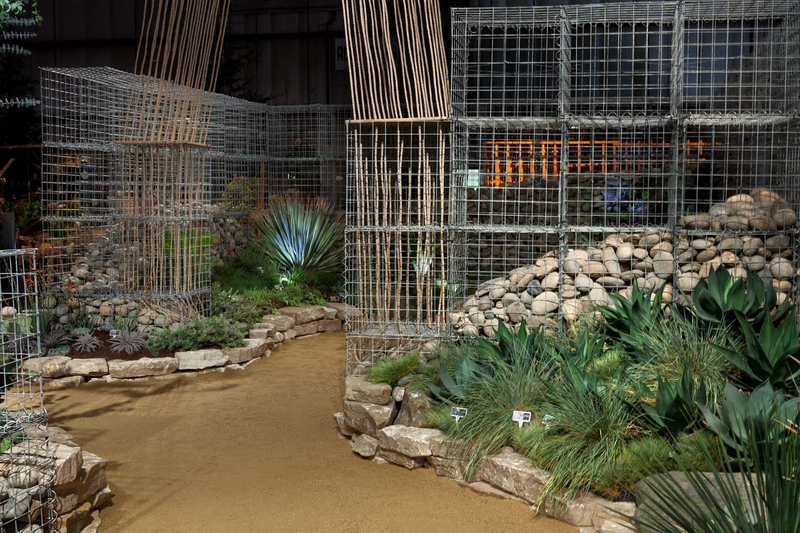 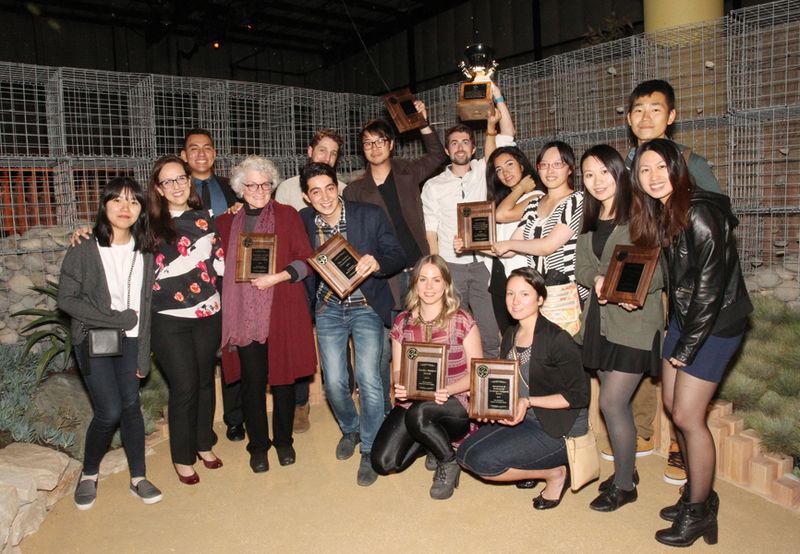 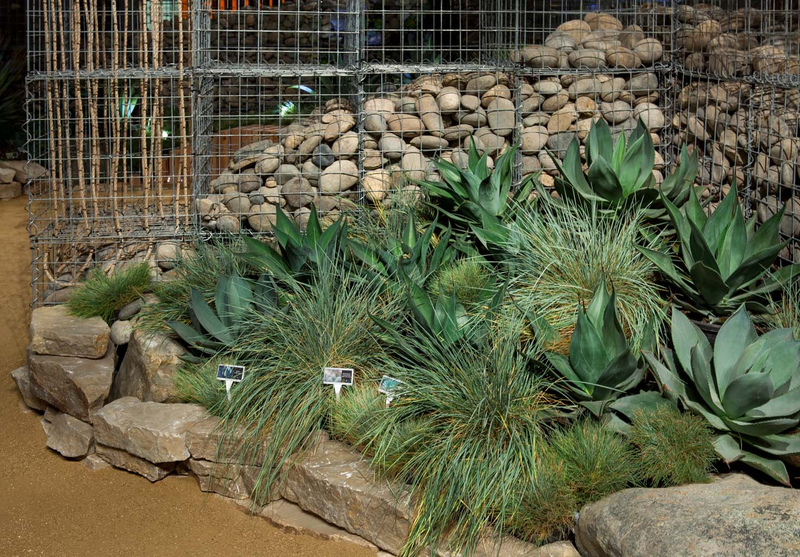 San Francisco Botanical Garden Award– Garden that best demonstrates best practices in sustainable materials, water use, and design. 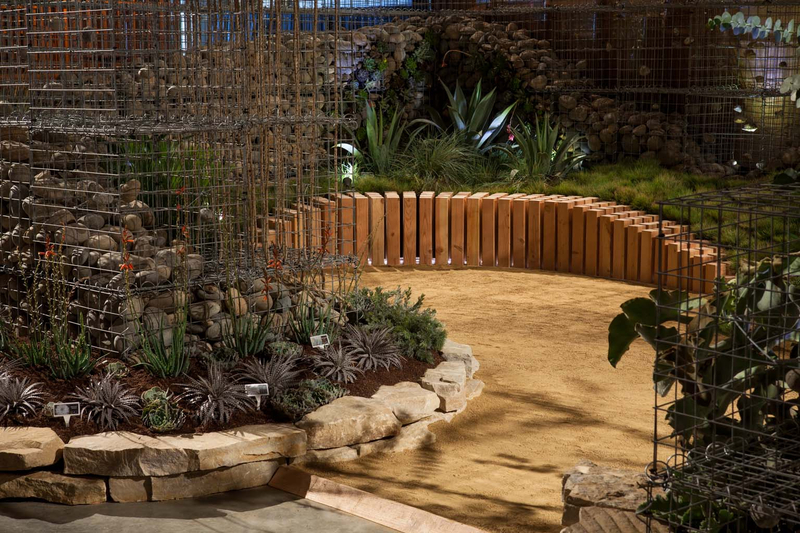 The Garden Conservancy– A Garden that Ages Well honors a garden that exhibits a strong design idea that will mature gracefully, demonstrating the ability of a garden, as a living work of art and horticulture, to absorb, orchestrate, and take advantage of ongoing change and growth as it moves into the future.